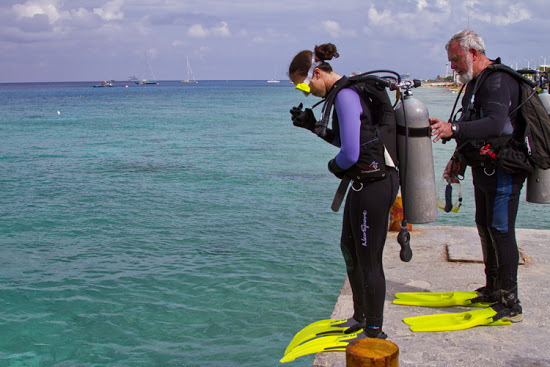 Cozumel brings together all the elements needed for a perfect dive vacation. A small, friendly town sits on the sheltered western shore of an island washed by warm, clear waters. This life-giving flow nurtures luxuriant growths of sponges and corals that cover the ledges, ridges and drop offs and support an underwater menagerie of fish and invertebrates. These same currents propel divers on exhilarating but controlled drifts as they go with the flow. Adding to the appeal are direct flights from the US, a wide range of beachfront hotels to enjoy, and dive boats that make easy runs in calm waters to sites less than a mile from shore. All diving in Cozumel takes place on the island's western shore, which is sheltered from prevailing easterly winds and surf. The shore drops from shallow reefs to a series of mid-depth shelves and ledges that culminate in high profile coral ridges that drop from depths 50 to 90 feet into deep water. Steady north-flowing currents are found on all sites, and drift diving is the norm. Water temperatures range from the high 70s to the mid 80s. The techniques of drift diving may seem intimidating to those who have never tried it, but in fact, nothing could be easier. Simply step off the swim platform, allow the current to carry you, and resurface to find the boat waiting. Because neither you or the boat are tethered, there is no sense of moving water when you are on the surface. Sites such as Palancar Deep, Colombia Reef and Santa Rosa Wall combine steep wall-like outer profiles with intricate mazes of swim-throughs and arches. Tormento and Punta Tunich provide lively drifts over ridges and valleys, while shallow sites such as Palancar Garden, Cordona and Las Palmas combine mild currents with abundant fish life. The wreck of the Felipe Xicoténcatl adds variety. A 3mm suit is adequate for most all divers. Though you will be following a dive master's surface marker, it's a good idea to carry your own deployable surface marker in case of separation from the group. DISCOUNTED RATES includes 3 nights accommodations, 2 days of 2-tank boat dives, breakfast buffet daily, receive $25 food and beverage credit per room when a min of $100 USD is spent during stay or $50 F&B credit per room when a min of $200 USD is spent during stay, 15% off gift shop, free WiFi, roundtrip airport transfers, hotel tax and service charges. Valid 8/18/19-10/31/19. Add $47 per person for 3-nights all-inclusive option. Book by 5/31/19. BIG SALE + RESORT CREDIT + FREE DIVING includes 7 nights Ocean View Suite accommodations, 5 days of 2-tank boat dives, breakfast, lunch and dinner daily, snacks, and beverages including premium alcohol, daily entertainment, free WiFi, use of CHI professional blow dryer and flat iron, $1500 resort credit per room to be used on select activities, diving, tours, spa and dinners (16% tax to be paid in cash on island will apply for using resort credit), roundtrip airport transfers, hotel tax and service charges. Valid 8/25/19-10/15/19. Book by 5/31/19. Additional dates at varying rates. JUNE AND JULY WEB SPECIAL includes 5 nights accommodations, 4 days of 2-tank boat dives, unlimited shore diving, plus one free night dive, breakfast and lunch daily (+$118 per person for 5 dinners), roundtrip airport transfers, hotel tax and service charges. Valid 6/1/19-7/31/19. 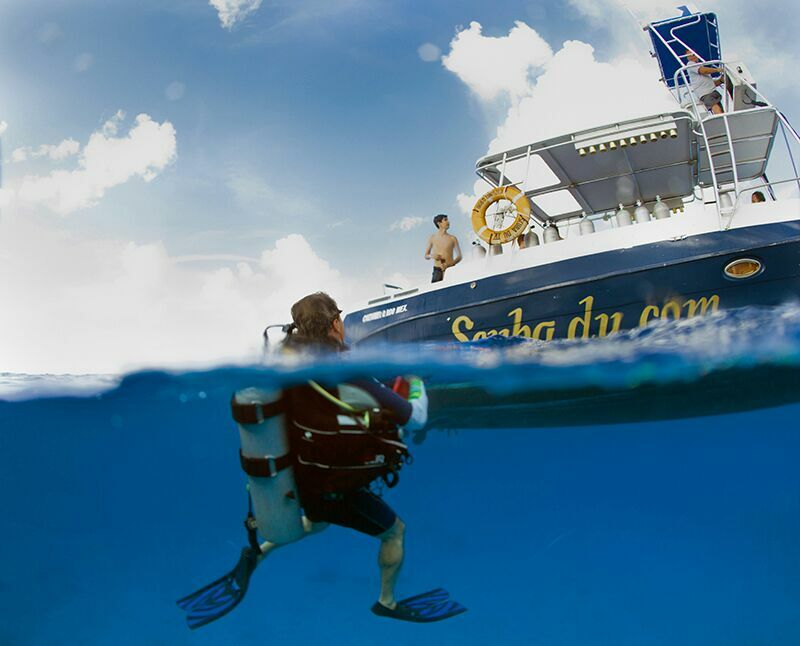 SECOND DIVER PACKAGE HALF OFF includes 7 nights accommodations, 5 days of 2-tank boat dives, unlimited shore diving, private gear locker (bring padlock), breakfast, lunch and dinner daily, roundtrip airport transfers, hotel tax and service charges. Valid 9/1/19-10/31/19. FALL SPECIAL includes 7 nights Superior accommodations, 5 days of 2-tank boat dives, free Nitrox, breakfast, lunch and dinner daily including alcohol, scheduled resort activities and entertainment, use of non-motorized watersports, roundtrip airport transfers, hotel tax and service charges. Valid 8/18/19-9/26/19 & 10/1/19-10/31/19. Book by 5/31/19. FALL SPECIAL includes 7 nights Deluxe accommodations, 5 days of 2-tank boat dives, free Nitrox, breakfast, lunch and dinner daily, snacks and beverages including alcohol, roundtrip airport transfers, hotel tax and service charges. Valid 8/18/19-10/31/19. Book by 4/29/19. Additional dates available at varying rates. UP TO 54% OFF includes 7 nights Deluxe Tropical View accommodations, 5 days of 2-tank boat dives, breakfast, lunch and dinner daily including alcohol, daily entertainment, $200 per room resort coupons to be used on applicable items, roundtrip airport transfers, hotel tax and service charges. Valid 4/27/19-5/29/19. Add $94 per person for travel 5/30/19-6/13/19 & 6/16/19-7/6/19. Book by 6/30/19. UP TO 55% OFF includes 7 night Pool View Jr. Suite ccommodations, 5 days of 2-tank boat dives, breakfast, lunch and dinner daily, snacks, and by the glass beverages including alcohol, daily entertainment, free WiFi, $200 per room resort coupons to be used on applicable items, roundtrip airport transfers, hotel tax and service charges. Valid 6/23/19-7/13/19 & 8/8/19-8/17/19. Book by 6/30/19. *Additional dates available at varying rates. DIVERS SPECIAL includes 7 night Pool View accommodations, 5 days of 2-tank boat dives, complimentary tanks for shore diving, complimentary breakfast buffet daily, $40 spa credit per person, one free Scuba Du/Presidente InterContinental t-shirt per diver, complimentary WiFi, roundtrip airport transfers, hotel tax, and service charges. Valid 8/18/19-12/21/19. Book by 4/30/19. APRIL AND MAY WEB SPECIAL includes 5 nights accommodations, 4 days of 2-tank boat dives, unlimited shore diving, plus one free night dive, breakfast and lunch daily (+$118 per person for 5 dinners), roundtrip airport transfers, hotel tax and service charges. Valid 4/1/19-5/31/19. WINTER AND SUMMER SALE includes 7 night deluxe accommodations, 5 days of 2-tank boat dives including free tanks for shore dive, $600 mega pass, roundtrip airport transfers, hotel tax and service charges. Valid 4/27/19-7/6/19 & 8/12/19-12/21/19 (additional dates available at varying rates). Add $193 per person for all food, snacks and beverages in the onsite restaurants, use of the tennis courts plus numerous beach and pool recreational activities plus entertainment. BECOME A DIVER PACKAGE includes 7 night Superior accommodations, 5 days of instruction, equipment, pool sessions, open water dives and certification, breakfast, lunch and dinner daily, snacks and beverages including alcohol, roundtrip airport transfers, hotel tax and service charges. DIVE PACKAGE includes 7 nights Ocean View Suite accommodations, 5 days 2-tank boat dive-large boat (certified divers only), breakfast, lunch and dinner daily, snacks, and beverages including premium alcohol, daily entertainment, free WiFi, CHI professional blow dryer and flat iron, roundtrip airport transfers, hotel tax and service charges. 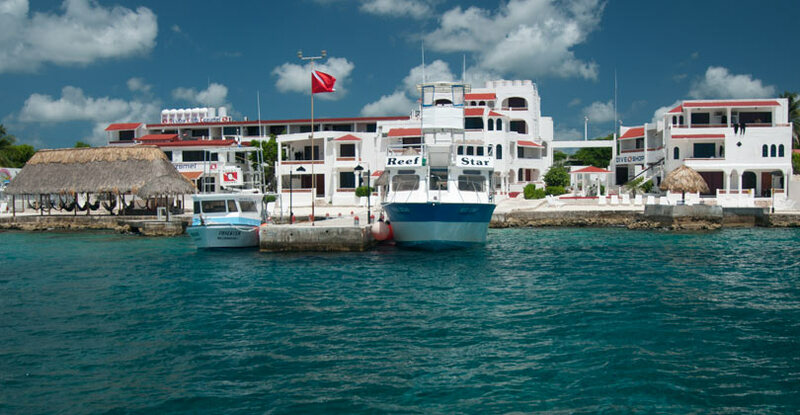 COZUMEL MARINE WORLD DIVE PACKAGE includes 7 nights superior accommodations, welcome tank for shore dive, 5 days of 2-tank boat dives, free access to Nachi Cocom beach club, 20% off at Nachi Cocom, WiFi in lobby area, roundtrip airport transfers, hotel tax and service charges. 7 NIGHT DIVE PACKAGE includes 7 nights accommodations, 5 days of 2-tank diving, unlimited shore diving on dive days, 3 meals daily, Free WiFi, roundtrip airport transfers, hotel tax and service charges. 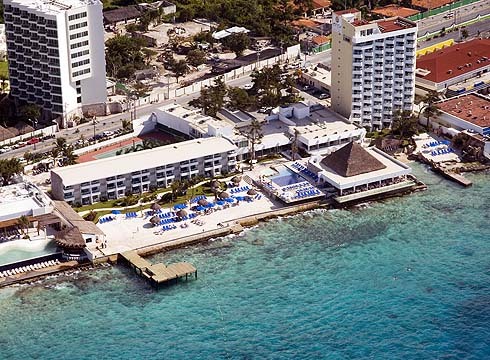 One of Cozumel´s most popular hotels located across the street from the crystal clear waters of Cozumel´s Mexican Caribbean. Designed for the sun lover and sports enthusiast, here you will enjoy scuba diving, snorkeling and much more. Enjoy all-inclusive luxury and worldclass diving at this top-notch resort on famed San Francisco Beach, offering a range of room categories, gourmet dining, daytime activities, evening entertainment, turn-down service and room service in a hacienda-style resort. Upgrade to The Royal Club, with personal concierge service, hydro-massage bathtubs, private whirlpool and other exclusive amenities. 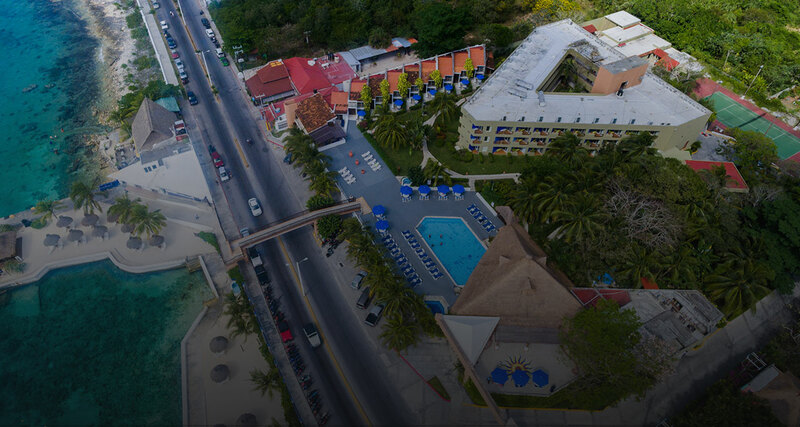 This gorgeous resort is one mile away from the newly renovated center square with shopping, local restaurants and bars, and just minutes from the colorful and abundant coral reefs that have made Cozumel one of the world’s top snorkeling and diving destinations. At Cozumel Palace, you will find 169 luxurious suites, including Junior Suite, Concierge Level and Loft Suites, all facing the ocean. Each suite is comprised of a spacious seating area and a double whirlpool ideal for relaxing after a day of exploring. You can also enjoy the crisp ocean breezes of the Caribbean waters from your own balcony. 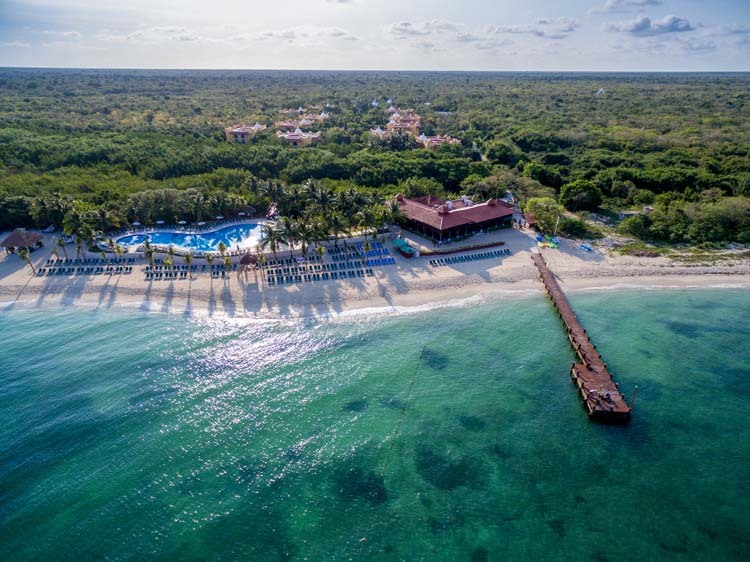 The Allegro Cozumel hotel has been designed to offer sophisticated accommodations on the magnificent Playa San Francisco, one of the world’s most beautiful beaches on the island of Cozumel. When Jacques Cousteau visited Palancar Reef, he defined it as "paradise." 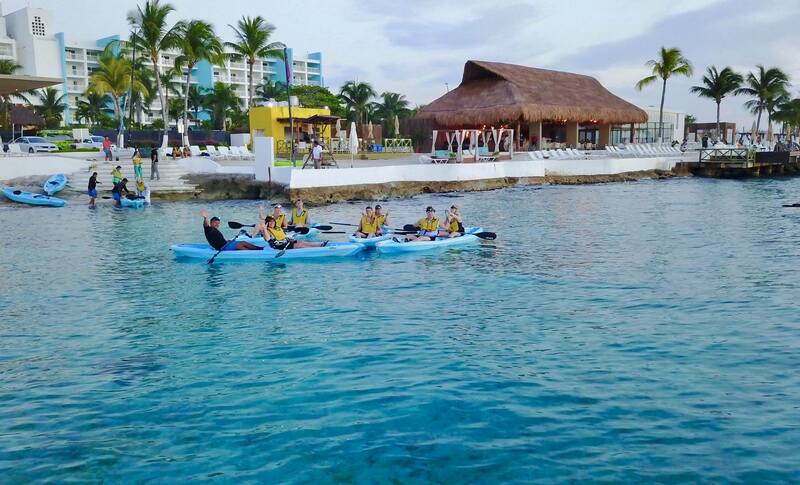 Allegro Cozumel Resort guests can now enjoy it every day thanks to the resort’s proximity. 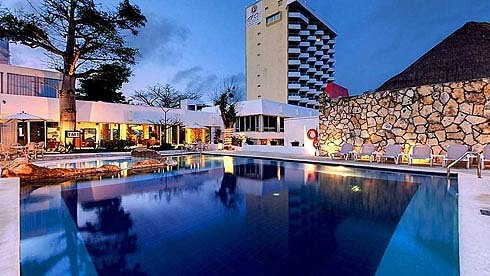 The resort offers excellent packages for diving experiences at one of the world’s top destinations for scuba divers. The resort provides various leisure and entertainment options both under water, among dolphins and sea turtles, as well as on land, lying in the sand at the beach or next to one of the 5 swimming pools. It also has great facilities for relaxation, such as the U-spa, or for action, such as the water park and the sports area. Blended with the natural charm of Mexican hospitality, this property features 87 guest rooms and suites, each decorated with a unique style. Designed to create a quiet and unique atmosphere, its design combines wood, stone, marble and tapestry to create a warm and inviting blend of light, space, comfort and functionality. The friendly and dedicated staff await your arrival. Completely renovated, this resort features totally rebuilt suites in a minimalist world-class style. New oceanfront restaurant and bar, massage cabins, beautiful tide pool with cascading waterfalls, fully-stocked bar within reach of the hot tub, new on site dive operation and private dock, and a new philosophy focused on personal service. 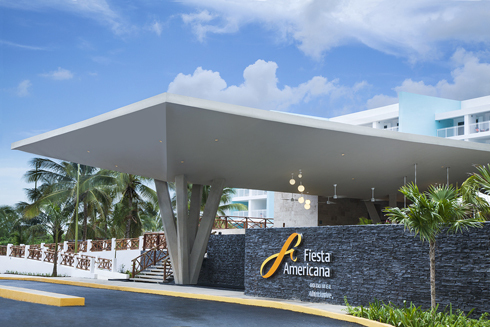 Fiesta Americana Cozumel combines the comforts of an upscale all-inclusive oceanfront resort with convenient access to Cozumel's best dive sites. The resort is located on the island's calm western coast, convenient to the attractions of San Miguel, but also close to prime southern reefs. All rooms and suites have ocean views from private terraces, and feature a bright modern décor. The resort offers six restaurants that serve a mix of continental, Mexican, Italian and Asian cuisines, with both table service in themed dining rooms, and casual buffet-style dining in an oceanfront setting. Amenities include two pools, multiple bars, workout facilities, a game room, children's club, spa services and nightly entertainment. Guests enjoy exclusive access to the resort's beach club for water sports, shore diving and snorkeling. 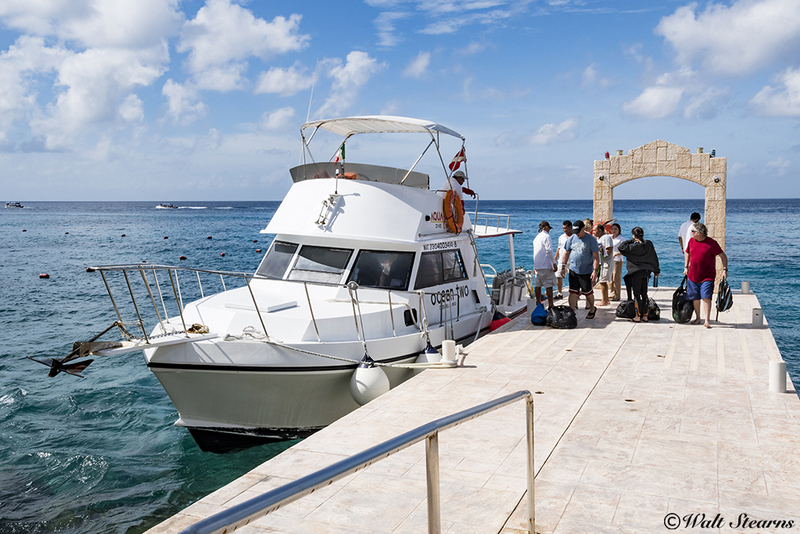 Divers will appreciate the convenience of an on-site aquatics center operated by Dive House, which is one of Cozumel's premier dive operators. A unique hideaway, secluded and surrounded by lush vegetation and turquoise waters of the Mexican Caribbean, situated on a half mile stretch of private sand beach, only minutes from the abundant coral reefs. The 220 rooms and suites boats LCD-TV, WiFi, MP3. Three restaurant options for dining. 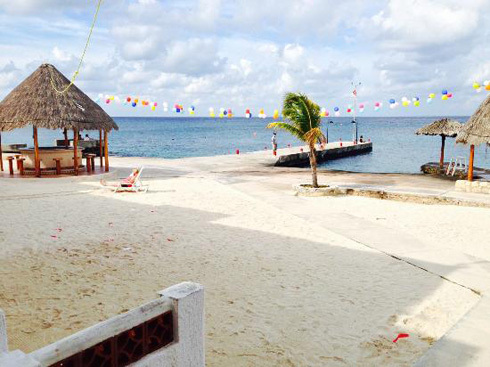 Sunscape Sabor Cozumel is the perfect getaway for vacationers of every sort. Stays at this all-inclusive resort come with all of the privileges of an Unlimited-Fun® vacation including countless daytime land and water activities, limitless food and beverages from four reservation-free restaurants, unlimited top-shelf spirits from three bars & lounges and so much more... All while never having to wear a wristband. One of the main reasons so many people choose to stay at the Explorean is the hotel's one-of-a-kind Daily Expedition & Adventure Program. Each day offers something new and exciting to do, with guided expeditions and treks in the ocean, on the beach, around the town, and deep into the tropical jungle, letting guests learn about and explore the island while cycling, snorkeling, horseback riding, kayaking, hiking and driving dune-buggies, and it's all included in the room rate. The adrenaline, fun, laughs and pure emotion will make your activities truly unforgettable as you create stories to tell for a lifetime. Most activities could be described as "soft adventure" and fairly easy to do, but feel adventurous and exciting. They are accessible to guests with wide range of fitness and experience levels and ages. Side-trips and extra activities offer more rigorous adventure for explorers who want it. Walking distance from downtown, this oceanfront dive resort features 60 air-conditioned rooms, each with ceiling fan, hair dryer, mini fridge, and a private porch or balcony, just steps away from great shore diving. Finished in tile and stucco, the rooms are ready for wet divers and have drying racks for dive suits on each terrace. One of the most notable features of Cozumel's underwater landscape is the health of the reefs themselves. The majority of Cozumel's dive sites lie within the 30,000-acre marine park and enjoy a no-touch, no-take policy, But protection is only half the story. It is the steady flow of oceanic water washing over the reefs that promotes life and growth, while also supplying the excellent water clarity divers crave. Healthy reefs mean healthy fish populations, and these waters are home to more than 100 types of coral and 260-plus species of fish. Another unique aspect of Cozumel's underwater landscape is the configuration of the coral structures. As the topography transitions from shallow reefs to high-relief coral heads, these don't take on the typical spur-and-groove configuration. Instead, the corals grow upwards and outwards in convoluted patterns that create maze-like networks of canyons, swim throughs and arches. The outer edges of these coral castles often present wall-like vertical faces, but these faces are often riddled with crevices, caverns and vertical chimneys. These structures shelter a variety of marine life, and Cozumel is one of the best places in the Caribbean to see larger grouper, which roam the reefs with no fear of meeting hook and line or speargun. 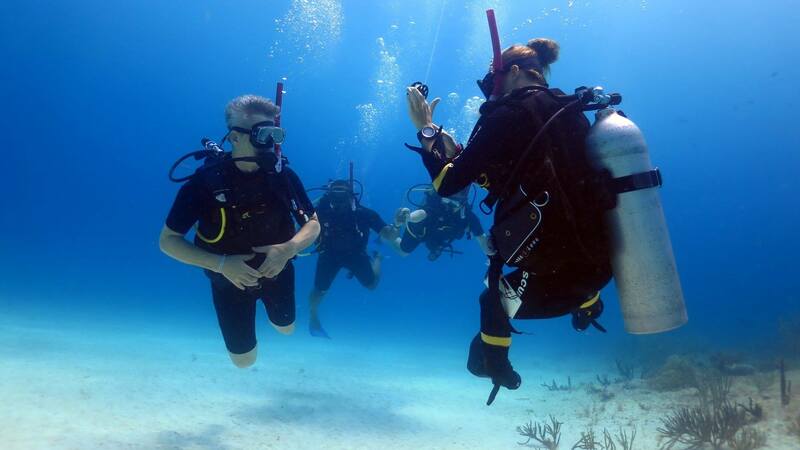 A common first-dive profile might involve a game of follow-the-leader through clefts in the reef line to overlooks of blue water. Second dives might be a drift across a mid-depth coral ridge such as Cedar Pass, or an exploration of fish-laden coral gardens such as Dalila or the Palancar Horseshoe. A number of waterfront hotels and other locations provide access for shore diving on sites within easy swimming distance of the shore. These include both reefs and several small artificial reefs that hold a vareity of fish. All boat diving diving in Cozumel is drift diving. Standard practice is to stop the dive boat and drop divers far enough up current of the target site to allow divers ample time for a comfortable descent. An in-water dive master deploys a tethered surface marker, and the dive group is carried along the reef by the currents. As divers complete their underwater tour, they are picked up by the waiting boat. 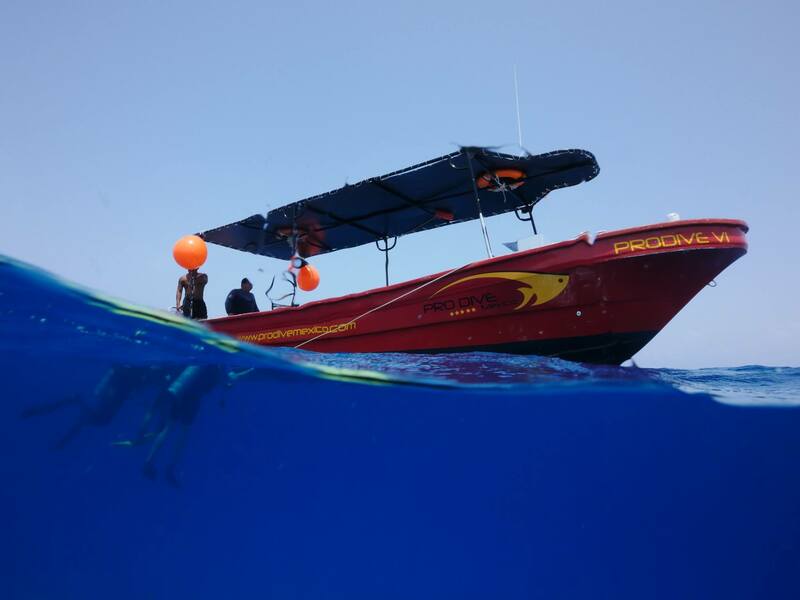 This process makes making navigation easy, and save for the flight-like sensation of the drift, there is no sense of water movement as divers exit, as both boat and body are moving with the flow. One site where divers may want to hang out rather than drift away is the artificial reef known as the Felipe Xicoténcatl. The 184-foot former Mexican Navy minesweeper sits upright and intact on a white-sand bottom near Chankanaab Bay. The wreck has been placed to allow experienced divers to explore the interior on guided dives, with permanent lines for reference. Interior spaces hold large schools of glassy sweepers and large grouper. Because guides can bring no more than four divers into the wreck at a time, it’s advisable to reserve a tour well in advance. Night diving reveals another facet of Cozumel's reefs, as octopus, lobster, moray eels and a menagerie of crustaceans come out after dark. This is also a good time to hunt for one of the area's signature finds, the splendid toadfish. Just four to six inches in length, these homely reef dwellers are endemic to Cozumel, and can usually be found lurking in small holes where the reef meets the sand. At night, they emit croaking sounds in hopes of attracting a mate. A valid, undamaged passport is required. No visa is required for stays less than 180 days. One page is required in your passport for entry stamp. Other required items include a return ticket and confirmation of hotel reservation. All persons leaving Cozumel pay a departure tax of approximately $34 USD which should be included in your international ticket. Check the entry/exit requirements here. Vaccinations are not required for entering Mexico if you’re coming from the United States. Check with the Centers for Disease Control on recommended vaccinations for travel www.cdc.gov. Though no longer the sleepy fishing village that divers first discovered in the 1960s, the island of Cozumel retains much of its small-town charm. Cruise ships come and go, but move beyond the waterfront souvenir shops and tourist-centric watering holes and you will discover a culture that combines memories of the Maya with traditions of old Mexico. Many local shops close for an afternoon siesta and as the big ships sail off into the night, residents come out for paseos around the town square. Also in the mix is a vibrant and sophisticated art and music scene. Cozumel has been called Mexico's equivalent of Key West, attracting creative types from across the country and beyond. This influx of talent also extends to the kitchen, adding creative cuisines to a dining scene that also includes a number of family-operated favorites that have been pleasing hungry divers for decades. Surface intervals are typically spent relaxing at beach clubs, with perhaps one day set aside for an island tour. A handful of bars and clubs stay open late, while ferries connect to the lively scene at Playa del Carmen, which lies just across the channel. Electricity is 110 volts, 60 cycles, same as in the U.S., so converters are not necessary. Cozumel has a modern, fully digital and reliable telecommunication system. The long distance dialing code is 52, while the area code for Cozumel is 987. Check with your cell provider for International plans and costs. The Internet is available at many hotels, restaurants, bars and stores. Most restaurants and bars in tourist locations use purified water. Outside of resorts, be cautious with ice in drinks or vegetables which may have been washed in tap water. Bottled water is available for purchase and is recommended for drinking and brushing your teeth. Spanish is the official language but English is widely spoken. The Mexican peso is the official currency of Cozumel (MXN). Due to new regulations, merchants and businesses can no longer change U.S. Dollars for Pesos. That must be done at a currency exchange office. U.S. credit cards are widely accepted. Check the current exchange rate here. Mexico spans four different time zones. February 1, 2015, the state of Quintana Roo which includes Cozumel, changed to Eastern Standard Time Zone (Zona Sureste). They do not observe daylight savings time, which puts them 5 hours behind Greenwich Mean Time (-5 GMT). Cozumel is Mexico's largest island, sitting just 12 miles off the coast of the Yucatan Peninsula. It is approximately 250 square miles. Cozumel is 43 miles south of Cancún and 12 miles southeast of Playa del Carmen. Ferries take passengers between Playa del Carmen on the mainland side to Cozumel island in about 1/2 an hour. Cozumel measures 28 miles long & 10 miles wide. The population of Cozumel is estimated at 100,000.